Las Vegas is a phenomenal place to visit any time of year, but when you’re wanting to woo your loved one and celebrate romance, Las Vegas is the place to be! Celebrate with your sweetheart in Las Vegas this Valentine’s Day. Here’s a comprehensive list of 99 Things to do in Las Vegas this Valentine’s Day. Why take your one-and-only a tired box of chocolates when you can take your sweetheart directly to the source? Las Vegas is no stranger to the deliciousness of chocolates and candies! 1. Ghirardelli Chocolates is located at 3545 South Las Vegas Blvd inside the LINQ of Las Vegas and features chocolates, ice cream, and beverages. For more information, call (702) 650-0096. 2. Godiva Chocolatier is located at 3377 Las Vegas Boulevard South in the Grand Canal Shoppes. Create your own assortment or choose freshly dipped strawberries and other delicacies. For more information, call 702-732-1577. 3. Hexx Chocolate and Confexxions is located at 3799 S. Las Vegas Boulevard in the MGM Grand Hotel. From bean to bar, the Hexx crafts its chocolate from scratch. Tours are also available at limited times. For more information, call 702-675-4100. 4. Ethel M Chocolate Factory and Cactus Garden is located at 2 Cactus Garden Drive in Henderson, Nevada, just a short drive from the Las Vegas Strip. 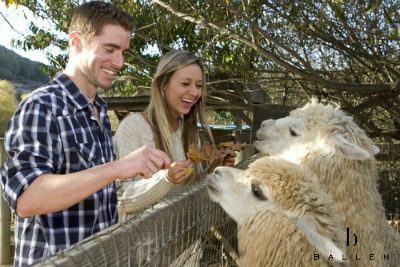 Tour the factory or visit the cactus garden to make sweet memories with your Valentine. For more information, call 702-435-2655. 5. See’s Candies Chocolate Shops retail store is located at 3500 Las Vegas Boulevard South in the Forum Shops at Caesar’s Palace. For more information, call 702-503-2447. Wondering how much your house is worth? Find out in 15 seconds! 6. Rocky Mountain Chocolate Factory is located at 4500 West Tropicana Avenue inside the Orleans Hotel and Casino. Enjoy hand-dipped apples, marble fudge, and a variety of assorted chocolates. Don’t forget your free samples while you’re there! For more information, call 702-362-1886. 7. JinJu Chocolates is located at 707 Fremont Street #2280. JunJu Chocolates specializes in hand crafted treats with traditional flavors and modern twists. For more information, call 702-348-9407. 8. Jean-Marie Auboine Chocolatier is located at 4780 West Harmon Avenue, Suite 1 in Las Vegas. Jean-Marie Auboine Chocolatier specializes in all natural sweets with no additives or preservatives. For more information, call 702-222-0535. 9. Hershey’s Chocolate World Las Vegas is located at 3790 South Las Vegas Boulevard in the New York, New York Hotel and Casino. Hershey’s Chocolate World Las Vegas features a nearly 800-pound chocolate sculpture of the Statue of Liberty and other impressive attractions. For more information, call 702-437-7439. 10. M&M World in Las Vegas is located at 3785 South Las Vegas Boulevard in the MGM Grand Hotel and Casino. This is a must-see attraction for M&M lovers, and includes the ability to create M&Ms with the name of your Valentine on them. For more information, call 702-740-2504. Get Personalized M&M’s at My M&M’s. You could arrange to have cut flowers for your loved one, but the moment the flowers are cut, they begin to die. Give your Valentine the gift of living flowers by visiting one of the many beautiful botanical gardens in Las Vegas. 11. Springs Preserve is located at 333 S. Valley View. Take a guided walk through 110 acres of plants, flowers, and wildlife habitats. For more information, call 702-822-7700. 12. Bellagio Conservatory and Botanical Garden is located at 3600 Las Vegas Boulevard South in the Bellagio Hotel and Casino in Las Vegas. Each season, the 14,000 square foot floral playground is redesigned for a new show, and the former plants, trees, and greens are recycled. For more information, call 702-693-7111. 13. Acacia Demonstration Gardens is located at 50 Casa Del Fuego Street in Henderson, Nevada, a short drive from downtown Las Vegas. Not all gardens are lush with flowers, and Acacia Demonstration Gardens provides exquisite examples of desert gardens and landscaping that respect water conservation. For more information, call 702-267-4000. 14. Cactus Gardens at Ethel M Chocolate Factory is located at 2 Cactus Garden Drive in Henderson, Nevada, just a short drive from the Las Vegas Strip. The Cactus Gardens at Ethel M Chocolate Factory spans four-acres that house drought-tolerant ornamentals, cacti, and other succulents with over 300 species of plants. For more information, call 1-800-438-4356. 15. The Arboretum at UNLV can be contacted at 4505 S. Maryland Parkway Box 451013 for tour information. The arboretum covers the entire campus, but offers a self-guided tour. For more information, call 702-895-0952. Sometimes, you just want to relax, have fun, and laugh your socks off! Las Vegas is known for a variety of comedic shows for you and your sweetheart to enjoy this Valentine’s Day. 16. The Improv is located at 3475 South Las Vegas Boulevard inside Harrah’s of Las Vegas. The Improv features new comedians each week. Stick around after the show for a meet-and-greet, get an autograph, or purchase memorabilia to remember your Valentine’s Day date with your loved one. For more information, call 800-214-9910. 17. Bonkers is located at 221 Rampart Boulevard inside the Rampart Casino in Summerlin, Las Vegas. Various comedians perform for audiences 21 and older. Admission is free. For more information, call 702-507-5900. 18. L.A. Comedy Club in Las Vegas is located at 2000 S. Las Vegas Boulevard in the Stratosphere Hotel and Casino. L.A. Comedy Club features comics who have appeared on Comedy Centra., Showtime, BET’s Comic Review, NBC, and CBS. For more information, call 702-380-7777. 19. Brad Garrett’s Comedy Club is located at 3799 S. Las Vegas Boulevard inside the MGM Grand Hotel and Casino. Brad Garrett’s Comedy Club offers a variety of performing comedians. For more information, call 866-740-7711. 20. Sin City’s Comedy Theatre is located at 3667 S. Las Vegas Boulevard inside the Planet Hollywood Resort and Casino. Sin City’s Comedy Theatre features a rotating line up of world-class comedians. For more information, call 702-777-7776. Calling all thrill-seekers! 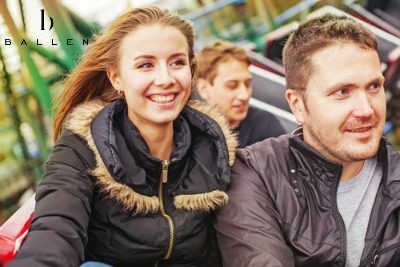 This Valentine’s Day, give your love a rush of adrenaline on any one of these exciting roller coaster rides in Las Vegas, Nevada. 21. The Roller Coaster, also called the Big Apple Coaster, is located at 3790 South Las Vegas Boulevard inside the New York – New York Hotel and Casino. The Roller Coaster features a 180-degree heart-line twist and dive maneuver. For more information, call 702-740-6616. 22. The Canyon Blaster is located at 2880 Las Vegas Boulevard South, inside the Adventure Dome within the Circus Circus Hotel and Casino. The Canyon Blaster is the world’s only indoor double-loop, double-corkscrews coaster running at 55 miles per hour. For more information, call 702-794-3939. 23. The Big Shot is located at 2000 S. Las Vegas Boulevard in the Stratosphere Hotel and Casino. Experience being launched 160 feet in 2.5 seconds at 45 miles per hour. For more information, call 702-380-7777. 24. Slotzilla is located at 425 Fremont Street, Suite 160 in the Fremont Street Experience of Las Vegas. Slotzilla is a 12-story slot-machine-inspired zip-line thrill ride. For more information, call 702-678-5780. 25. Sky Jump Las Vegas is located at 2000 S. Las Vegas Boulevard, inside the Stratosphere Hotel and Casino. Sky Jump, at 829 feet, holds the world record for highest commercial decelerator descent. Bungee Jumping at its finest! For more information, call 702-380-7777. If the adrenaline-rush of roller coasters is too much to digest, you may enjoy one of the dinner shows Las Vegas has on offer. Enjoy a delicious meal while being entertained by some of Las Vegas’s finest entertainers. 26. Marriage Can Be Murder is located at 301 Fremont Street inside The D Hotel and Casino in Las Vegas. Marriage Can Be Murder! is an interactive comedic dinner theatre show. For more information, call 702-388-2111. 27. Tournament of Kings is located at 3850 S. Las Vegas Boulevard inside the Excalibur Hotel and Casino. Adapted from the story of King Arthur, chivalrous knights on steeds are sure to stir romance with your Valentine. For more information, call 702-597-7600. 28. Tony and Tina’s Wedding is located at 3645 S. Las Vegas Boulevard inside Windows at Bally’s of Las Vegas. You’ll stay seated for a brief wedding ceremony, then engage as guests for a reception where characters interact with you as guests, but never break character. For more information, call 702-777-2782. 29. Alibi is located at 3663 Las Vegas Boulevard. Alibi is an unconventional dinner and show in Las Vegas as its characters take guests out into the real life Las Vegas Strip in what’s described as part dinner show, part scavenger hunt. For more information, call 702-786-0577. For those who prefer the companionship of animals, mammals, and reptiles, Las Vegas has plenty to offer in the way of exhibits. 30. Shark Reef Aquarium at Mandalay Bay is located at 3950 S. Las Vegas Boulevard. You may see a Komodo Dragon, Piranha, Stingrays, Pufferfish, a Giant Pacific Octopus, and Sandtiger Sharks. A great place to hold hands as you explore the exhibits. For more information, call 702-632-4555. 31. Flamingo Wildlife Habitat at Flamingo Hilton is located at 3555 S. Las Vegas Boulevard. Take a romantic stroll around the islands that are home to Flamingos, Swans, Ducks, and Koi Fish. Two live feedings each day. Beautiful place to take photographs. For more information, call 702-733-3349. 32. Siegfried & Roy’s Secret Garden is located at 3400 S. Las Vegas Boulevard. Enjoy viewing the majestic big cats that call the Secret Garden home. You’ll find lions, tigers, panthers, and a leopard. There’s even a dolphin habitat to view. For more information, call 702-791-7188. 33. The Tank at Golden Nugget is located at 129 East Fremont Street. If you’re looking for something adventurous with a touch of sophistication, this may be the perfect choice for your romantic date. You don’t have to settle for just looking at these amazing animals. You can get up close with one of the shark tank tours. For more information, call 866-946-5336. 34. Silverton Aquarium is located at 3333 Blue Diamond Road. Home to over 5000 exotic species of fish, this is a colorful treat that will make any Valentine’s Day date special. You’ll even see sharks and stingrays swimming through the beautiful coral. For more information, call 702-263-7777. 35. The Atlantis Aquarium at Caesar’s Forum Shops is located at 3570 S. Las Vegas Boulevard. Do a bit of shopping, enjoy a romantic dinner, and top it off with views of the 50,000-gallon aquarium. For more information, call 702-893-4800. Las Vegas is an eccentric city with unconventional entertainment, including its museums. Learn about Las Vegas history and contributing factors to the growth of Sin City. 38.Las Vegas Natural History Museum is located at 900 Las Vegas Boulevard North. The Las Vegas Natural History Museum is an affiliate of the Smithsonian and brings to display prehistoric life, Egyptian treasures, wildlife, marine life, geology, and more. For more information, call 702-384-3466. 39. The Neon Museum Boneyard is located at 7700 Las Vegas Boulevard North and features, by guided tour only, a remarkable collection of retired Las Vegas neon signs. This is an outdoor venue, so dress appropriately. Tours are available seven days a week. Times vary by season. For more information, call 702-387-6366. 40. The Clark County Museum is located at 1830 South Boulder Highway in nearby Henderson, Nevada. This 30-acre museum features a modern exhibit hall with a timeline exhibit about pre-historic through modern Southern Nevada, in addition to a collection of restored historic buildings. For more information, call 702-455-7955. 41. Nevada State Museum is located at 309 South Valley View Boulevard in Las Vegas. The museum preserves artifacts and collections that narrate the story of the history of Nevada as a state. For more information, call 702-486-5205. 42. The Barrick Natural History Museum is located at 4505 Maryland Parkway on the campus of University of Nevada, Las Vegas. This museum has a concentrated focus on Native American cultures. For more information, call 702-895-3381. 43. The Lied Discovery Children’s Museum is located at 833 N. Las Vegas Boulevard. This is a 58,000 square foot hands-on facility where children of all ages can explore permanent and rotating exhibits. For more information, call 702-382-3445. 44. The Boulder City Hoover Dam Museum is located at 1305 Arizona Street in nearby Boulder City, Nevada. The three-dimensional interactive displays and exhibits tell the tales of the brave souls who inhabited Nevada, sustaining 120 degree temperatures, for the sake of building the dam that helped birth Las Vegas. For more information, call 702-294-1988. Las Vegas is known for its unconventional entertainment and wild rides, but it’s also home to remarkable fine art galleries. To appreciate the diverse works of a plethora of artists, check out these fine art galleries in Las Vegas this Valentine’s Day. 45. The Arts Factory is located at 107 East Charleston Boulevard and offers contemporary and traditional styles and hosts classes and events in addition to its fine art exhibits. For more information, call 702-383-3133. 46. The Bellagio Gallery of Fine Art is located at 3600 Las Vegas Boulevard inside the Bellagio Hotel and Casino. Rotating exhibits feature artists such as Picasso, art and wine events, and more. Artwork may not be touched. Strollers, food, and drinks are prohibited, as are cameras and video equipment. No photos or videos may be taken. For more information, call 702-693-7871. 47. The Nevada Museum of Fine Art is located at 450 Fremont Street, Suite 270 in Las Vegas, Nevada. This museum hosts rotating exhibits including painting, photography, sculpture, offers adult art classes, and more. For more information, call 702-382-2926. 48. The Thomas Kinkade Renaissance Galleries is located at 3327 S. Las Vegas Boulevard South, suite 2942 in Las Vegas, Nevada. Thomas Kinkade dedicated his life to painting worlds into which people could escape through art. For more information, call 702-732-3638. 49. Martin Lawrence Galleries in Las Vegas is located at 3500 Las Vegas Boulevard South, in the Forum Shops at Caesar’s Palace. This gallery offers 26,000 square feet of showroom space and hosts the world’s largest painting as well as work from Andy Warhol and more. For more information, call 702-991-5990. 50. Design and Dine in Las Vegas has two locations to choose from. One location is at 7250 S. Durango, suite 120. The other is 3175 N. Rainbow Boulevard. There’s also a location in nearby Henderson, Nevada. Design and Dine is a step-by-step fully equipped art studio with their own in-house restaurant that offers vegetarian options, and wine. For more information, call 702-327-7325. 51. Wine and Canvas is located at 730 West Sunset Road in nearby Henderson, Nevada. Enjoy creating your own piece of artwork while sipping a glass of wine. Classes are held at Wine and Canvas as well as local venues. Check the event calendar for more information, or call 702-551-4251. 52. Pinot’s Palette is located at 1000 S. Rampart Boulevard, Suite 10, inside the Boca Park shopping center. Enjoy 2-3 hours of painting with your Valentine while sipping wine or beer. There’s also a location in nearby Henderson, Nevada. For more information, call 702-331-2007. 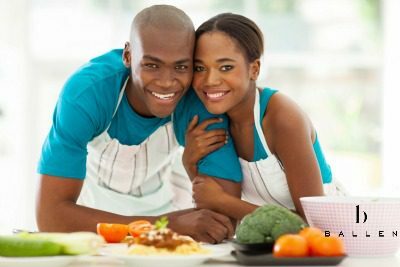 You can also express your artistic side while turning up the heat with your sweetheart at a couple’s cooking class in Las Vegas this Valentine’s Day. 53. Sur La Table is located at 1980 Festival Plaza Drive in Summerlin of Las Vegas. Enjoy a full calendar of classes that are sure to tickle your taste buds and tempt your tummy. For more information, call 702-448-8615. 55. Le Cordon Bleu College of Culinary Arts is located at 1451 Center Crossing Road in Las Vegas, Nevada. The Bleu Kitchen, on the campus of Le Cordon Bleu College, offers workshops and classes including chocolates and candies, bistro pastries and desserts, and more. For more information, call 855-783-8130. 56. Chef Lucky Thai is located at 8609 W. Sahara Avenue in Las Vegas Nevada. Scheduled classes specialize in Thai foods. Call to schedule your private class. For more information, call 702-588-8164. 57. The Sweet House is located at 6430 West Lake Mead Boulevard, Suite 130 in Las Vegas. Learn the art of baking and decorating yummy sweet treats with your Valentine. For more information, call 702-722-7277. Don’t worry if you have two left feet but still want to tear up the dance floor with your sweetheart. These couple’s dancing classes will have you busting out the best of moves in no time. 58. Arthur Murray Dance Centers is located at 4550 S. Maryland Parkway in Las Vegas, Nevada. This dance center is a full service ballroom dance studio featuring waltz, salsa, tango, swing, and more. For more information, call 702-798-4552. 59. Ballroom Addiction is located at 2301 Renaissance Drive in Las Vegas. Enjoy private lessons, or learn social dancing, wedding dance, competitive dance, and more. For more information, call 702-331-7711. 60. Dance Center is located at 3686 E. Sunset Road, Suite 105 in Las Vegas, Nevada. Learn ballroom, Latin and rhythm, line dancing, fitness dancing and much more. For more information, call 702-434-8800. 61. Broadway Dance Hall is located at 3375 S. Decatur Boulevard in Las Vegas. Learn salsa, tango, and more. For more information, call 702-236-5966. 62. Miami Rhythm Dance Studio is located at 666 W Charleston Blvd and features all your ballroom favorites and a bit of fun with hip-hop. For more information, call 702-334-3030. 63. Rhythmic Dance Studio is located at 3650 South Jones Boulevard in Las Vegas and features west coast, swing, salsa, country, ballroom, Latin, and hustle dancing. For more information, call702-723-7746. 64. Fred Astaire Dance Studio is located at 4160 S. Fort Apache Road in Las Vegas. Get up close and personal with your sweetheart this Valentine’s Day with professional dance lessons. For more information, call 702-242-4400. Once you’ve learned all the tricky steps and suave movements of dance, you’ll want to take your new groove to the dance floor. Here are some of the hottest dance clubs Las Vegas has to offer. 65. Gold Diggers Dance Club is located at 129 Fremont Street inside the Golden Nugget Hotel and Casino. Great music, good drinks, and lots of room to shake your booty with your Valentine. For more information, call 702-385-7111. 66. La Jolla Ultra Lounge is located at 2245 E. Flamingo Road in Las Vegas, Nevada. 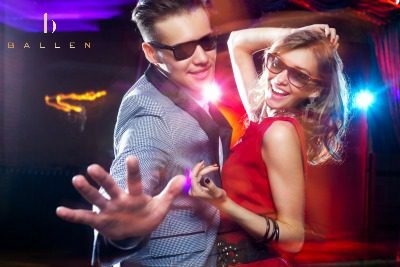 This Latin inspired night club is the perfect venue to show off your salsa skills and other dance moves. For more information, call 702-818-9595. 67. Rain Night Club is located at 4321 W. Flamingo Road inside the Palms resort hotel and casino. This dance club has two levels and 25,000 square feet for you to dance the night away with your Valentine sweetheart. For more information, call 702-942-6832. 68. Surrender Night Club is located at 3131 South Las Vegas Boulevard in the Wynn Las Vegas resort hotel and casino. Dress code is strictly enforced. For more information, call 702-942-6832. 69. Moon Nightclub is located at 4321 W. Flamingo Road, inside the Palms resort hotel and casino. When they say “raise the roof”, this penthouse nightclub with retractable ceiling means it literally! Great views of the Las Vegas Strip and the night sky. For more information, call 702-942-7777. Relax with your Valentine in a private couple’s massage at some of the finest resort spas Las Vegas has to offer. Unwind and let go of tension this Valentine’s Day. 70. Saffron Las Vegas Day Spa is located at 2400 S. Jones Boulevard, Suite 14 and has features such as a chocolate massage and a couple’s surprise massage. For more information, call 702-367-3529. 71. Miraculous Massage is located at 3415 West Craig Road, Suite 209, in North Las Vegas. Relax with your special someone and have the tension massaged out of your muscles. Pamper yourself and your sweetheart. For more information, call 702-636-8598. 72. 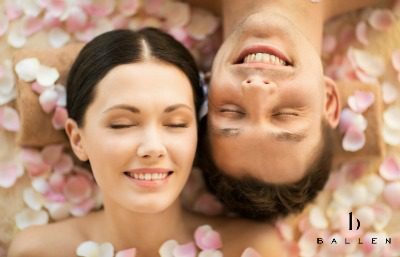 Ageless Day Spa is located at 6006 Smoke Ranch Road in Las Vegas and offers a variety of packages and services, including couples massage for you and the one you love. For more information, call 702-418-7000. 73. The Spa at Lakeside is located at 2620 Regatta Dr., Suites 112-113-114. This spa features an array of offerings, including special couples massage packages. For more information, call 702-254-8568. 74. Spa Aquae is located at 221 W. Rampart Boulevard in the JW Marriott Resort and Spa. Select from a range of services for couples to unwind with your one-and-only this Valentine’s Day. For more information, call 702-869-7807. Sometimes you need more than just one night of romance. Turn your Valentine’s Day into a Valentine’s weekend retreat at some of the world’s finest luxury resort hotels. 75. The Paris Resort Hotel and Casino is located at 3655 S. Las Vegas Boulevard in Las Vegas and is the epitome of romance in Las Vegas. Enjoy fine dining, shows, phenomenal views, or just stay in your elegant room for a weekend get away with the one you love. For more information, call 702-946-7000. 76. The Venetian Resort Hotel and Casino is located at 3355 S. Las Vegas Boulevard and takes romance to the next level with private gondola rides through a river running through the hotel. 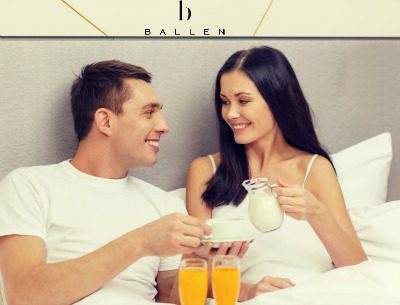 Engage in entertainment, enjoy fine foods, or take advantage of breakfast in bed with your sweetheart. For more information call 702-414-1000. 77. Vdara is located at 2600 West Harmon in Las Vegas, Nevada and is unique in its lack of gaming. You can enjoy nightlife, spa treatments, entertainment, fine food, and more, without the noise of gambling. For more information, call 702-590-2111. 78. Aria is located at 3730 South Las Vegas Boulevard, just two miles from the McCarran International Airport. Rich with all the amenities and entertainment your heart could desire, this is the perfect get-away resort location for you and your love this Valentine’s Day. For more information, call 866-359-7111. 79. The Hard Rock Hotel and Casino is located at 4455 Paradise Road in Las Vegas. The Hard Rock may be most recognized for its high-octane rock and roll flavor, but when it comes to romance, Hard Rock Hotel and Casino gives any resort a good run for their money! Paper yourself in the spa, indulge in excellent food, enjoy night life, or just snuggle up in bed with the one you love. For more information, call 702-693-5000. Find out how much house you can afford today! There are certain elements of Las Vegas that simply can’t be missed. If you haven’t partaken in these staples of life in Las Vegas yet, then Valentine’s Day could be your perfect opportunity to go touristing on the town. 80. Volcano at the Mirage is located at 3400 Las Vegas Boulevard South. The Volcano is located outside of the Mirage and is free to view. Watch the energy erupt at this one-of-a-kind demonstration at The Mirage. For more information, call 702-791-7111. 81. Fall of Atlantis animatronic show at the Forums is located at 3570 South Las Vegas Boulevard inside Caesar’s Palace. This free show and aquarium are sure to delight you and your loved one as the story of love and power unfolds through the tale of moving statues. For more information, call 866-277-5938. 82. Fountains at the Bellagio are located at 3600 Las Vegas Boulevard, outside of the Bellagio Resort Hotel and Casino. The fountains were designed to romance your senses, so what better time than Valentine’s Day to set your sights on the Las Vegas strip attraction? For more information, call 888-987-6667. 83. Venetian gondola rides is located at 3355 S. Las Vegas Boulevard. Indoor and outdoor gondola rides are available with group or private options. What better way to woo the one you love than by taking it to the water? For more information, call 702-414-4300. 84. High Roller is located at 3545 S. Las Vegas Boulevard in the LINQ. Take your love to new heights on the world’s largest observation wheel. Soar in a pod 550 feet above the Las Vegas Strip for remarkable views of the Las Vegas skyline. For more information, call 866-328-1888. Las Vegas prides itself on a variety of entertainment, and bowling is right up the Las Vegas Valley alley! 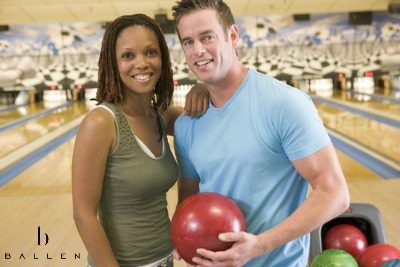 Put on your bowling shoes with pride and get your game on at one of Las Vegas’s bowling centers. 85. Sun Coast Bowling Center is located at 9090 Alta Drive, inside the Sun Coast hotel and casino. Get your game on! It’s the one occasion where it’s good to strike out on Valentine’s Day! For more information, call 702-636-7400. 86. Sante Fe Station Bowling Center is located at 4949 N. Rancho Drive, in the Sante Fe Station hotel and casino. Here, the goal is to keep your bowling ball (and your mind) out of the gutter! For more information, call 702-658-4996. 87. Brooklyn Bowl Las Vegas is located at 3545 South Las Vegas Boulevard, inside the LINQ of Las Vegas. For more information, call 702-862-2695. 88. Red Rock Lanes is located at 1101 West Charleston Boulevard, the largest luxury bowling facility in Las Vegas. For more information, call 702-797-7467. 89. Sam’s Town Bowling Alley is located at 5111 Boulder Highway, Las Vegas. Rock those bowling shoes like they’re in style! For more information, call 702-454-8022. After all is said and done, sometimes it comes down to a romantic dinner with stellar views and impeccable service. Here are a few of the finest dining experience Las Vegas has to offer. 90. The Envy Steakhouse is located at 3400 Paradise Road, inside the Renaissance Las Vegas Hotel. Enjoy a fine-dining experience in this luxurious, naturally lit restaurant. For more information, call 702-784-5700. 91. Top of the World is located atop the Stratosphere Tower at 2000 Las Vegas Boulevard. Enjoy your fine-dining experience in a rotating restaurant with spectacular views of the Las Vegas Valley. For more information, call 702-380-7777. 92. Hugo’s Cellar is located at 202 Fremont Street, inside the Four Queens Hotel and Casino. Specializing in fine dining amidst romance with exquisite service. For more information, call 702-385-4011. 94. Bouchon is located at 3355 South Las Vegas Boulevard inside the Venetian resort hotel and casino. Bouchon offers a French-inspired fine dining experience to share with your love this Valentine’s Day. For more information, call 702-414-6200. 95. IL Mulino New York is located at 3500 South Las Vegas Boulevard, inside the Forum Shops at Caesar’s Palace. Enjoy Italian-inspired romance in this luxurious restaurant with phenomenal service. For more information, call 702-492-6000. 96. DJT is located at 2000 Fashion Show Drive, inside the Trump International Hotel Las Vegas. DJT is said to be one of the most elegant and impressive venues in Las Vegas with its romantic columns and lavish decor, this fine dining experience is one you and your lover are sure to remember this Valentine’s Day. For more information, call 702-982-0000. 97. 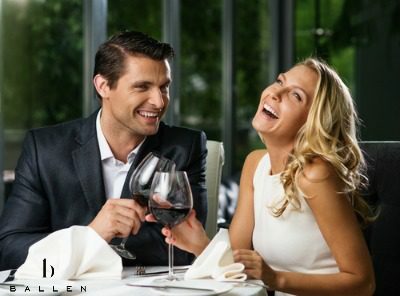 Flemming’s Prime Steakhouse and Wine Cellar is a romantic venue off of the Las Vegas Strip, away from the noise and traffic. Enjoy fine dining in a luxurious atmosphere with superb service. For more information, call 702-838-4774. 98. Stack is located at 3400 South Las Vegas Boulevard, inside the Mirage hotel and casino. This impressive venue is comprised primarily of wood, creatively designed to enhance the space with a rustic sense of romance. For more information, call 702-693-8300. Whether you’re looking for the adrenaline rush of wicked rides, the sweet nothings whispered by Las Vegas chocolate shops, fine art, museums, comedy, dinner shows, or other exciting forms of entertainment this Valentine’s Day, Las Vegas is ready to romance you and your lucky-in-love companion. Celebrate your romance in Sin City and make memories you’re sure to cherish for years to come. 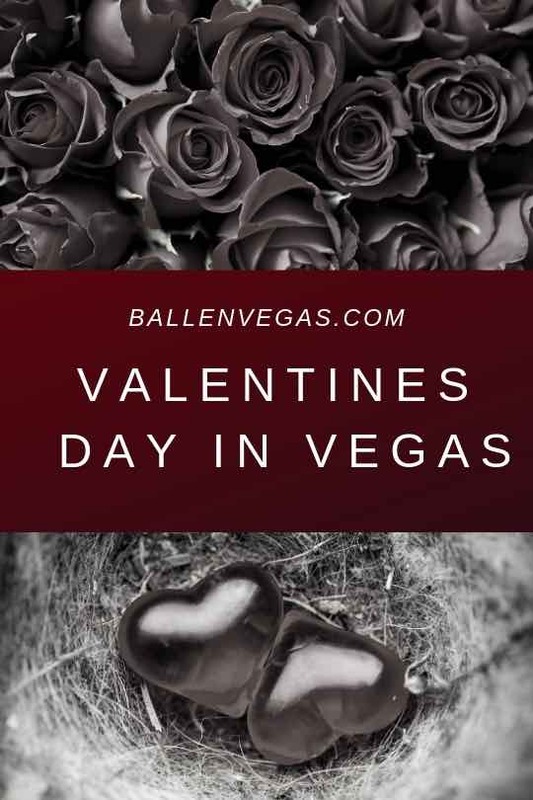 Ballen Vegas is pleased to bring you information about events and things to do in Las Vegas, like our list of 99 Things to Do in Las Vegas for Valentine’s Day. Keep us in mind for all your real estate needs. 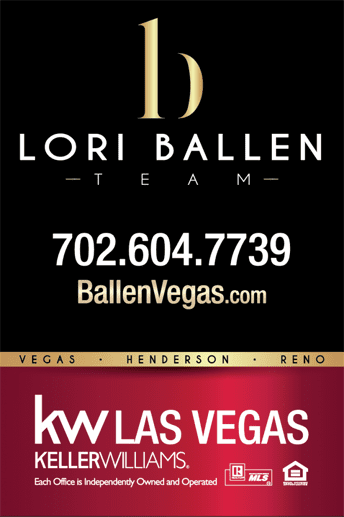 Looking to buy a house or sell a house in Las Vegas? Give us a call at 800-805-8354.